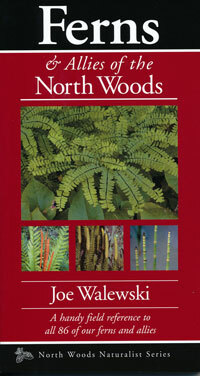 All 86 species of Ferns, Horsetails, Spikemosses, Quillworts and Clubmosses found in the North Woods. Range maps, more than 300 photos. Walewski. sc. 163 pages. 2016.